Using his RaiderCard Evan Macklin demonstrates how a card slide can provide attendance data and other useful information for clubs around campus. 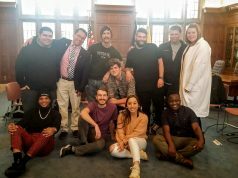 Two new updates to OrgSync will now further student organization opportunities at Grand Rapids Community College. OrgSync is an online program clubs at Grand Rapids Community College use to network with students across campus. It is used to schedule events, track meeting attendance and share updates. 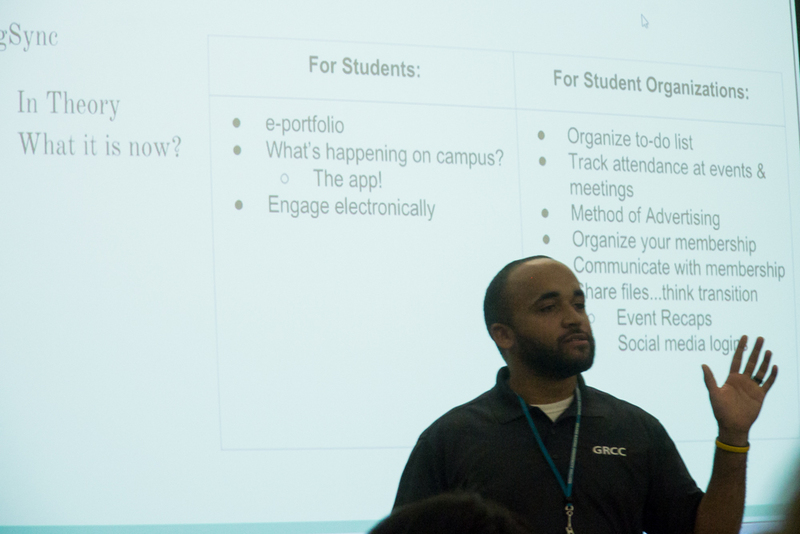 The two features – RaiderCard swipe and ePortfolio – were presented in today’s Student Alliance meeting by Evan Macklin, director of student orientation. 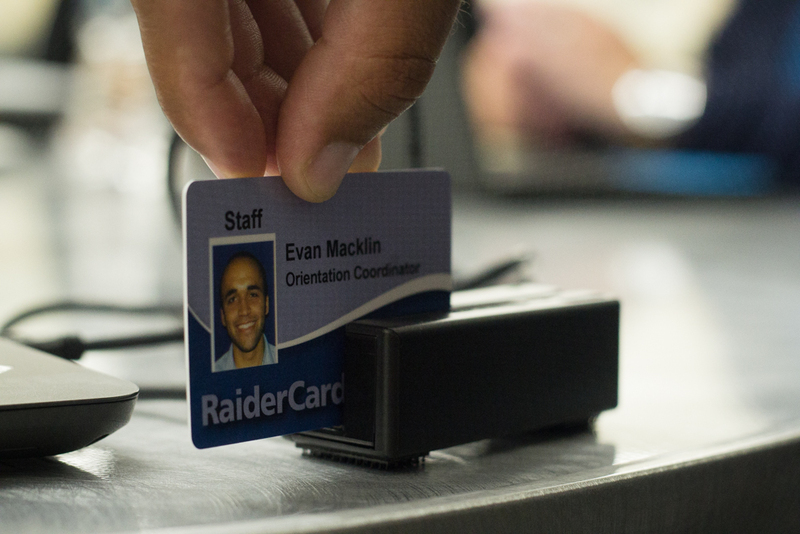 The RaiderCard swipe feature will allow clubs to track member attendance to an event or meeting with the swipe of a RaiderCard. “It allows them to easily track who’s coming to their meetings, and then the follow up, the communication back to those students,” Macklin said. The system remembers the list of people, and later the club can send group emails to those people. 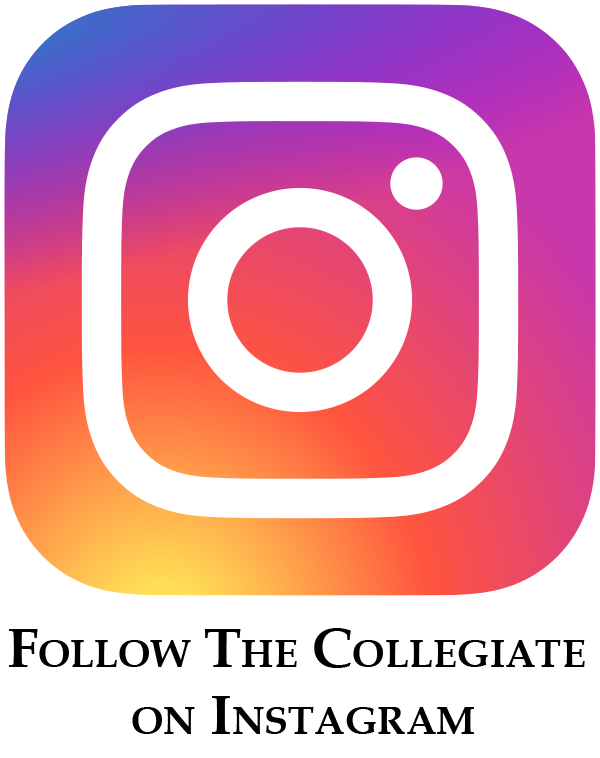 This feature will become available around mid-October, Macklin said. The second feature is not new, but is highly recommended. Macklin said all students should be using the ePortfolio. “I think it’s a talking piece in an interview,” Macklin said. The portfolio is set up like a resume, as it tracks involvement in certain clubs and skills used during the student’s time spent at the college. [/media-credit] Evan Macklin, Director of Student Orientation, introduces OrgSync to the Student Alliance leaders. Intervarsity club member Brandon Muillenburg said his club doesn’t use OrgSync as much as they should. “We’re waiting for it to reach critical mass,” said Muillenburg, 24. With the update and potential increased traffic, Muillenburg said they may use it more. David Steadman, 20, of Food for Thought, is glad to have OrgSync. 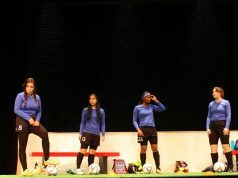 “It’s a cool program GRCC is providing us instead of having to do our own thing,” Steadman said. 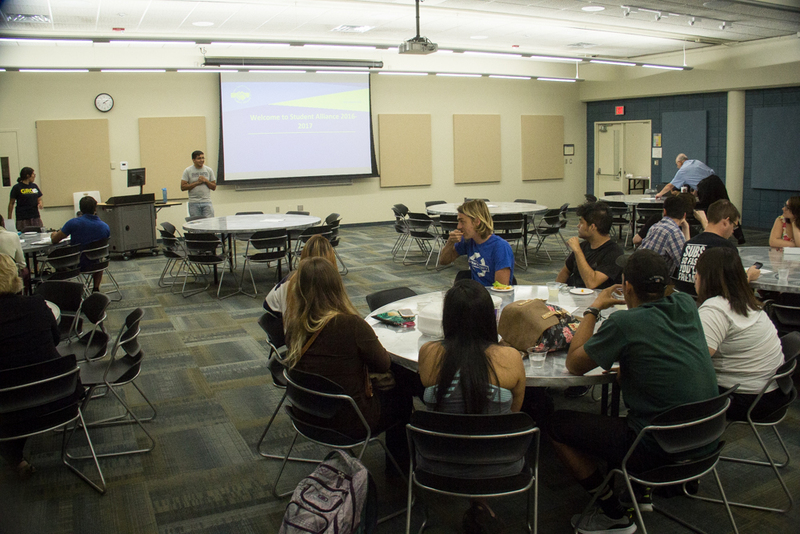 [/media-credit] Student Alliance President Jose Garcia addresses student leaders and club members at today’s collaborative meeting. Johnny Matias contributed to this story.